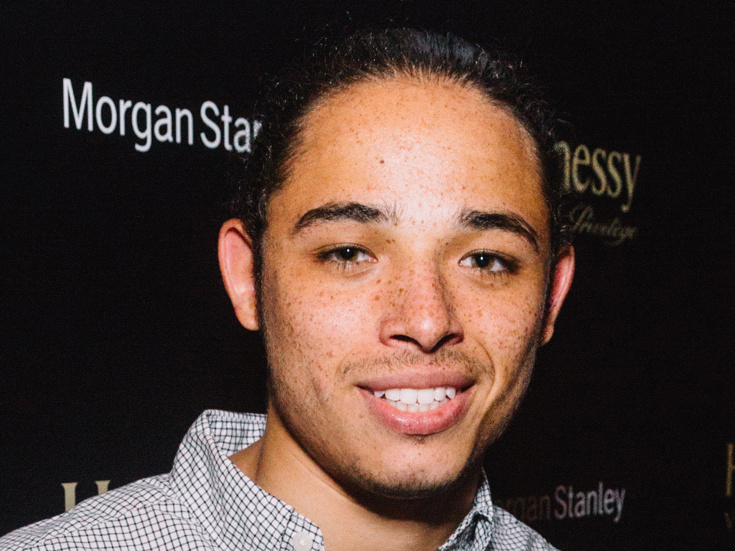 Anthony Ramos, the talented star who originated the dual roles of John Laurens and Philip Hamilton in Broadway's Hamilton, will take on the central role of Usnavi in Lin-Manuel Miranda's first musical, In the Heights, at Washington, D.C.'s Kennedy Center. The previously announced production, directed and choreographed by Stephanie Klemons, will run from March 21-25 in the Eisenhower Theater. Ramos replaces the previously announced Joshua Grosso, who has exited the production due to a minor foot injury. In addition to Ramos' turn in Hamilton, he has been seen on the small screen in Will & Grace, Younger, Law & Order: Special Victims Unit and She's Gotta Have It. His film credits include White Girl and Monsters and Men. Ramos is slated to appear in the upcoming motion pictures Summertime, A Star Is Born and Godzilla: King of the Monsters. In the Heights follows a community of friends and family in the New York City neighborhood of Washington Heights. The show features a Tony-nominated book by Quiara Alegría Hudes and a Tony-winning score by Miranda. As previously announced, the cast of the Kennedy Center's In the Heights will also include Vanessa Hudgens as Vanessa, Ana Villafañe as Nina, Eden Espinosa as Daniela, Rick Negron as Kevin, Blanca Camacho as Camila, Eliseo Roman as Piragua Guy, Mateo Ferro as Sonny, J. Quinton Johnson as Benny, Saundra Santiago as Abuela Claudia, Virgil Gadson as Graffiti Pete and Arianna Rosario as Carla. The In the Heights ensemble will include David Baida, Nico DeJesus, John Edwards, Hope Easterbrook, Rosie Fiedelman, Henry Gainza, Carlos Gonzalez, Morgan Marcell, April Ortiz, Khori Petinaud and Voltaire Wade-Greene.